This week sees Edgar Wright bring us his latest release, the musical action-comedy Baby Driver. What can you say about the man? He’s one of Britain’s most prominent writer-directors and one of the major tenants of modern comedy. 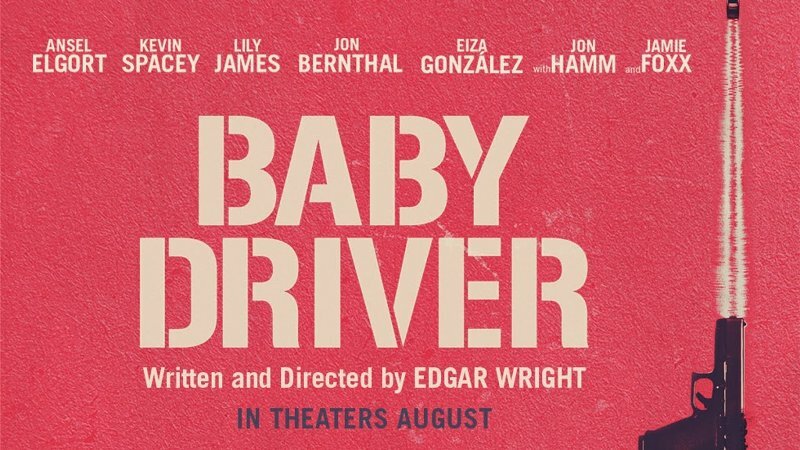 Thus, in celebration of the release of Baby Driver, we have just for you, the reader, a post dedicated to Edgar Wright. Here is an analysis and overview of Wright’s career, style and other miscellaneous details. Born in Poole on 18th April 1974, but raised in Somerset, Wright first began filmmaking as a teenager, making films on a Super 8 camera and winning prizes for filmmaking competitions held by Going Live! and Comic Relief (for his animated film about wheelchair access I Want to Get into the Movies). Wright’s career began to take off following the unlikely success of his no-budget, 16mm shot western A Fistful of Fingers which led to directing credits with numerous television programmes, including Mash and Peas, Is it Bill Bailey?, French and Saunders and the sitcom Asylum (which saw him pair up with future collaborators Simon Pegg and Jessica Hynes). It was at the start of the new millennium that Wright really entered the British conscious with the surrealist sitcom Spaced, which was met with critical acclaim and paved the way for a trio of similarly styled features known as the Three Flavours Cornetto trilogy (a nod to the Three Colours trilogy by Polish filmmaker Krzystof Kieslowski) – a film series made up of genre send-ups Shaun of the Dead, Hot Fuzz and The World’s End. Outside of those, Wright has also brought us an adaptation of graphic novel Scott Pilgrim vs the World, helped launch the careers of other British filmmakers such as Joe Cornish (director of the Wright-produced Attack the Block), contributed to the Marvel Cinematic Universe with Ant-Man (producing, after leaving the director’s chair due to creative differences) and is set to make his foray into the world of animation with DreamWorks’s Shadows. Watch this space for what he does next. From what he has produced from his many years as a writer and director, Wright seems pretty influenced by the schlock cinema and cult films from the seventies and eighties (in particular the ‘Video Nasties’ of that particular timeframe – take that so-called moral guardians). For instance, the copious amounts of gore in the Cornetto trilogy, taken from the zombie, cult and Hammer horror films of the late fifties to early eighties and often presented in the most over-the-top and comedic way possible (such as a death by church spire in Hot Fuzz). He’s also one of few people (apart from Quentin Tarantino and Martin Scorsese) to defend the film Ishtar (so much for a proposed plan by Lister in an episode of Red Dwarf to go back in time and avert Dustin Hoffman from appearing in the film). One of Wright’s most common traits is combining the realities of British life with parodies of films and other forms of pop culture (although they are mostly autobiographical with the characters being based on people Wright knew). These include numerous plots of Spaced, sending up the zombie films of Romero and his imitators in Shaun of the Dead, satirising the action movie, the British horror films of the seventies, country life and the police force in Hot Fuzz and an alien invasion during one final pub crawl in The World’s End. Wright also adds to this by shooting people doing the most mundane of things (such as the filing of paperwork in Hot Fuzz) in the most action-packed and fast paced way possible. There is also the recurring gag involving jumping over fences (either via trampoline, one’s own strength or just plain falling on top of it in the hope it will collapse) and a compulsory scene set in either a bar or pub (The World’s End taking the latter to the extreme). From the trailer, Baby Driver seems like his most direct homage to the action film genre, such as adding the getaway driver element from Walter Hill’s The Driver (like 2011’s Drive did) and shooting it as if it were a Hollywood musical (also conforming to Wright’s other trope of shooting action scenes synchronised to music). Other important Wright details include his height, which varies from five foot seven to eight (depending on which source you read), I don’t know why I brought that up, but I did. His nickname is Eball, his brother Oscar is an artist and is said by many (including Simon Pegg) to be a perfectionist. There have also been numerous things he was considered for and/or turned down including directing duties on the very first episode of Doctor Who, Mission Impossible – Ghost Protocal and more recently Star Trek Beyond (having done uncredited work on the preceding film). The final bit of random information before I wrap this up, be sure to look at the special features on the DVDs of his films; Wright really knows how to do these (including trivia tracks, random vocal dubbings and hand drawn Easter eggs).